So we have a few more countries to win... Let's join forces and take over the world... In Jesus' Name!!! Here is the Logo for the Churches called The Evangelical Christian Church, Christian Disciples. Below are pictured the General Superintendent in the various countries noted. Also pictured are two other special persons. 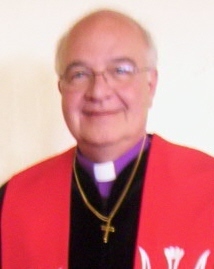 The Right Reverend, Dr. Malcolm Patterson, General Superintendent, U.S.A., June 2004 through June 2010. He now holds the title of General Superintendent, U.S.A. Emeritus. The Right Reverend, Dr. Tonya Sumner Brown is President of the Council of Bishops. Each General Superintendent is A Bishop or a Bishop-Elect in the church. Dr. Brown trains our Bishops throughout the year. Bishop Brown is a Special Advisor to the Archbishops and First Ladies. The Right Reverend, Sui Mang has been the General Superintendent of the Evangelical Christian Church in Myanmar for many years. In 2005 the Myanmar church merged with the ECC in the United States. We are proud to be working with Rev. Sui Mang. The Right Reverend Doctor Ebenezer Selvaraj, Senior Presiding Bishop, India. Dr. Selvaraj is the General Superintendent of the South India General Conference (Missionary). 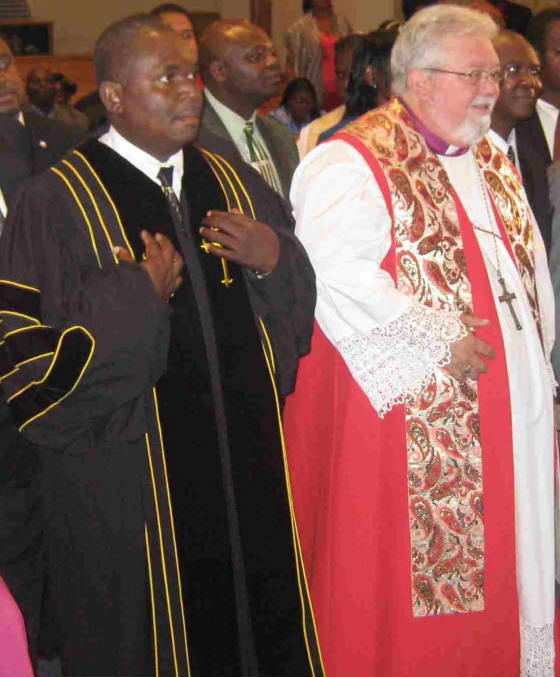 The Right Reverend Fino Dlamini, a Bishop in South Africa, and pastor of a large church there. He is the ECC DMI General Superintendent of South Africa. (Missionary). The Righe Reverend Dr. Emmanuel Osuagwu Johnson is the General Superintendent of the Liberia General Conference. (Missionary) He was a regional Superintendent for the ECC / DMI in Monrovia, Liberia for 3 years... since 2008. He is President of "Barkman College of Ministerial Arts" and has been elevated to Provincial Superintendent or "Bishop-Elect," Reverend Johnson will be invited to be ordained as a Bishop in the Church when he visits the General Conference in 2012. The Right Reverend Doctor Ekeoma Job Obike is the General Superintendent of the ECC DMI in The Republic of Benin and also in Togo. (Missionary) Dr. Job has visited personally with the archbishop four different times as a Bishop in Benin, West Africa. The Archbishop states that he has enjoyed each visit.